What’s old is new again, again. Last week we got the spin-off of a reboot in The Conners. 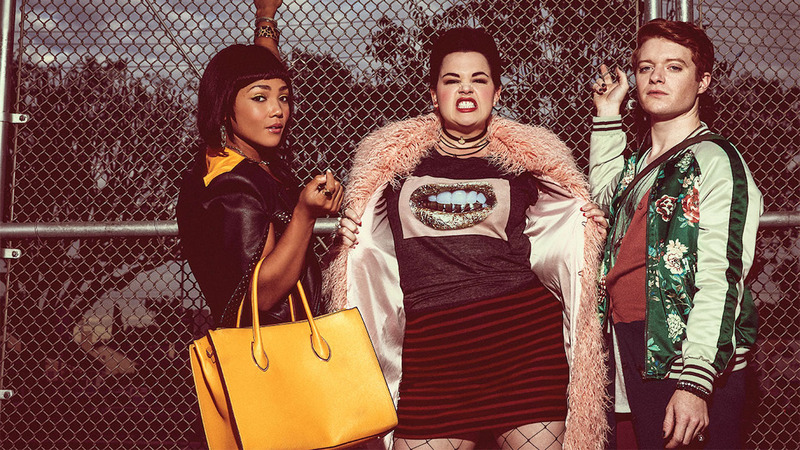 This week, we’ll be treated to what might be the first-ever reboot of a reboot in Heathers. Originally slated to debut as a traditional weekly series earlier in the year, things changed quickly when a school shooting in Florida took place a few weeks prior to the premiere. The show was pulled and nobody knew if it would ever see the light of day thanks to its own themes of in-school death like the 1988 film. Well, thanks to some creative editing and a ditched finale, the show lives again, except as a binge-worthy five-night miniseries beginning October 25. Or you can start watching it right this very second on the Paramount Network app or on their website. We’ve watched the first episode and kind of love it so far. The characters all have the same names, but they’ve been updated for 2018. In short, they’re more diverse (there’s even a gay ginger Heather) and meaner than ever in the era of social media. Check out the trailer, or jump right into episode one and judge for yourself.